A Personal Dog Trainer helps create a better lifestyle for people and their dogs. We can explain how your dog’s behaviour is linked to natural instincts of survival in the wild and living in a pack. With this understanding, we can start to solve the problem rather than treat the symptom and resolve behaviour issues without forcing your dog to act against its nature. In our newsletters you can learn how to understand your dog by reading the explanation to some of the most common behaviours. Many dog owners need more than just traditional obedience classes and seek help with their dog’s behavioural training. A Personal Dog Trainer provides one-on-one private sessions for dog owners and their dogs. The individually tailored sessions will be conducted in your own home or at a local park and will include both traditional obedience skills and behaviour modification. We service Melbourne, Bayside and the South Eastern suburbs. When only the best is good enough for your dog, then relax at the thought that it is being cared for by a certified dog professional – in a nice comfy house with a great garden, professional belly rub specialists, walks in the doggy park and snoozes in front of the TV. There will never be more than two dogs boarding at one time, so your dog will receive plenty of individual attention. In this house, every guest is VIP. The best leaders in the world are those who are chosen. This is a philosophy that guides my work with dogs… As members of a democratic society, we choose leaders. We agree to obey their rules, because we believe they act in our own best interest and can minimize our risk of starvation and danger. Dogs also obey those whose leadership can ensure their own survival. If you want your dog to willingly obey your rules, then you must first become its chosen leader. Jon Ryle is the owner and trainer of A Personal Dog Trainer. She has successfully completed the Advanced Course of Jan Fennell’s Dog Listening Method, which maps out how dogs can learn to cope with life in our human society despite their innate pack mentality and survival instincts. Jon has also successfully completed Cert III in Dog Behaviour and Training, conducted by the National Dog Trainers Federation. This course comprises canine behavioural analyses and learning patterns, as well as practical dog handling and obedience classes. In order to gain specialized experience, Jon completed an additional module on Dogs in Assistance Roles and assisted in training sessions held by Assistance Dogs Australia for their foster puppies. Jon has had plenty of opportunity to apply her skills in a large variety of situations. Over the last 2 years, she has worked with shelters and fostered numerous dogs that needed behaviour modification and training before they could be put up for adoption. 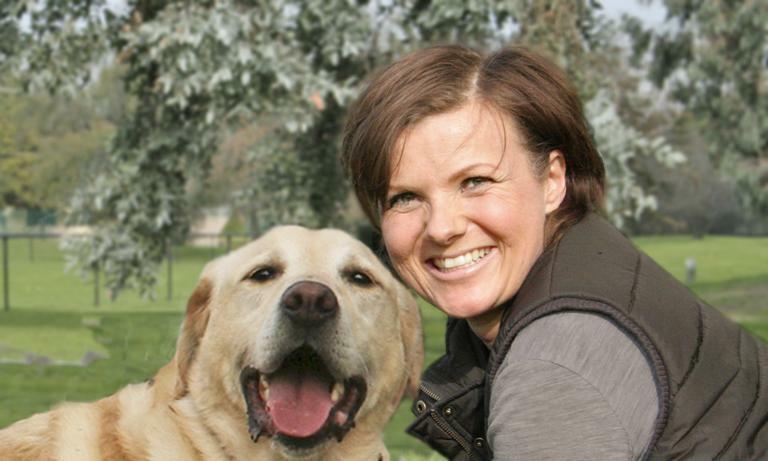 She has also gained experience from working in “A Doggy Daycare” with over 300 dogs of different sizes, ages and breeds. Finally, she has undertaken training in dog grooming and has groomed many dogs of all temperaments and requirements.